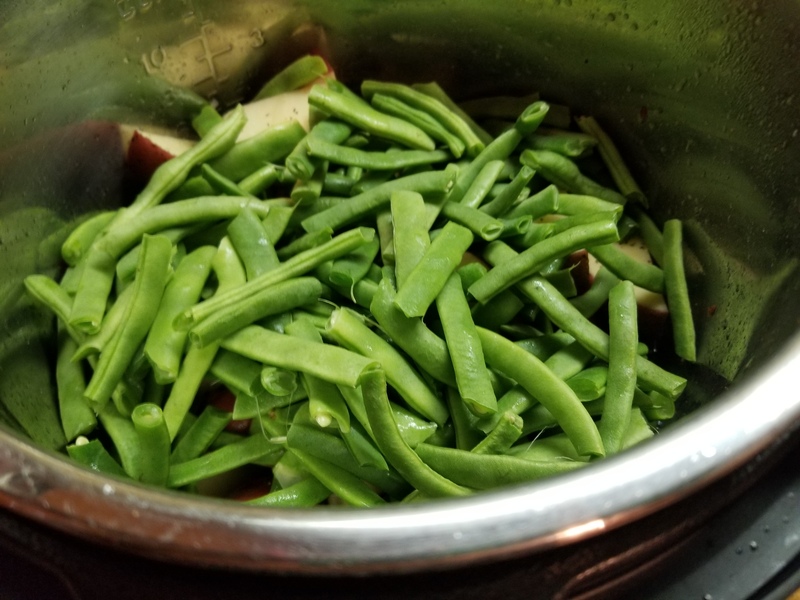 My hubby picked the last of our green beans from the garden today. 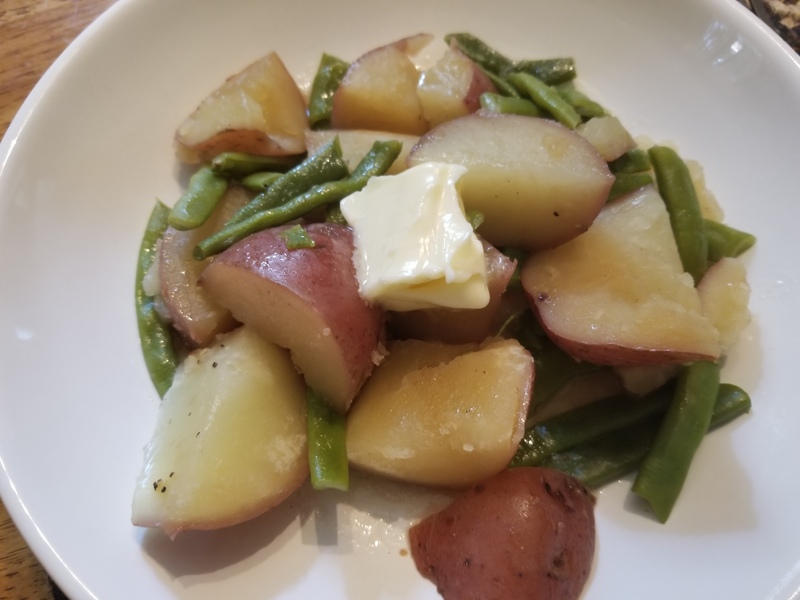 I grew up on potatoes, green beans and ham. Today, I thought I would try making it with bacon instead of ham! I mean, bacon goes with everything doesn’t it? After making this today, I don’t think I’ll ever make it any other way. So much flavor! 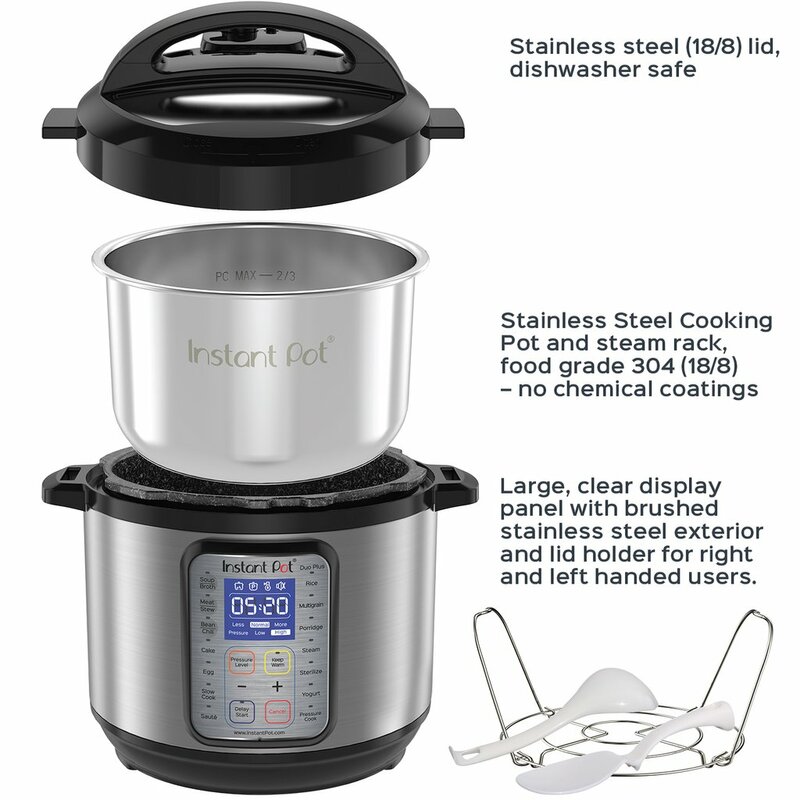 Turn your Instant Pot on to the Saute´ feature. While it was heating up, I chopped my bacon into small pieces. No sense leaving them whole and having to break them up into pieces afterwards. When the HOT message shows up on your Instant Pot, carefully drop the pieces of bacon into the IP. Let it cook a little, then begin to move it around. 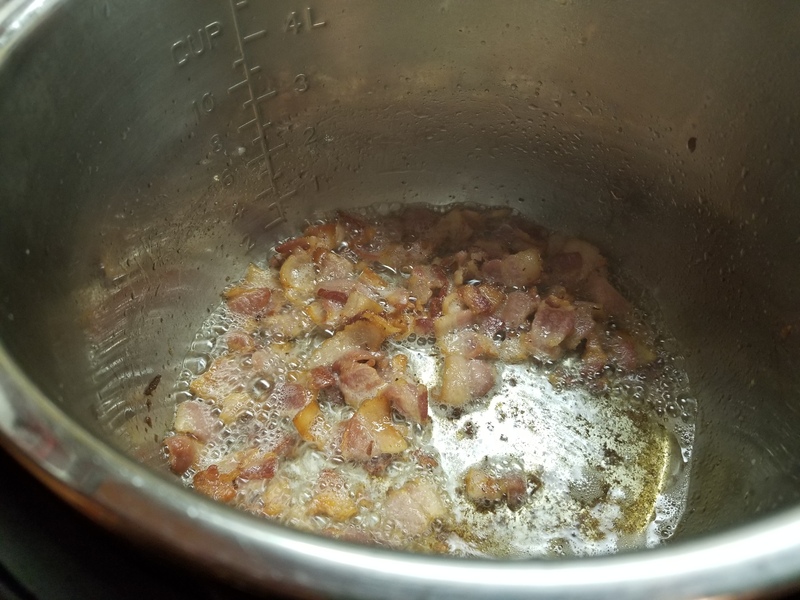 Cook and stir until the bacon is crispy, then turn OFF the Instant Pot. Yes, you can saute´ in the Instant Pot just like you do on the stove top. I used Ham base instead of plain water, mixing 2 teaspoons into 1 cup of water. 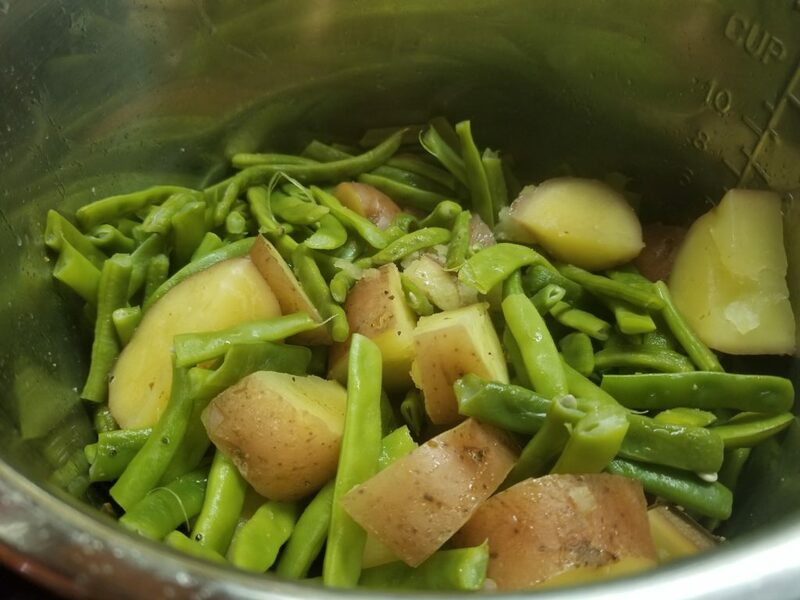 I didn’t want a lot of broth with my potatoes and green beans, but if you want more broth, just add more, it’s not going to hurt anything! Slowly, and I mean by teaspoons, add your ham broth to the Instant Pot. There is HOT grease in there and you know what happens when you add water to grease!! Yes, it will sizzle and spew everywhere. 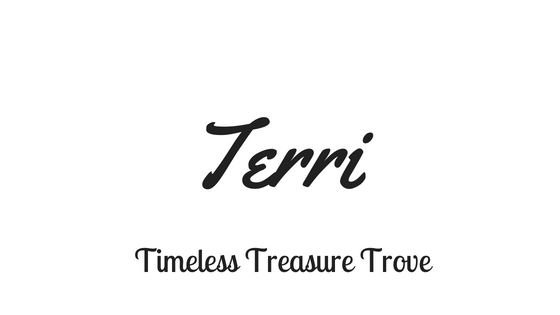 After you have added several teaspoons and the grease has “settled down” you can pour all the liquid into the pot. 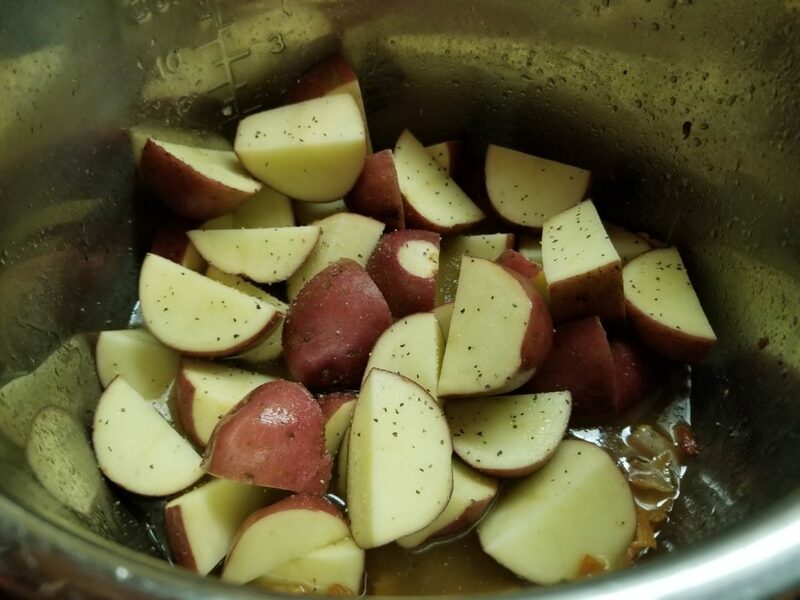 I cleaned and cut up several red potatoes, leaving the skins on. Again, your prerogative to leave them on or peel. Add potatoes to the pot. Then add your clean and snapped fresh green beans to the pot. Add salt & pepper to taste. Put the lid on and make sure the knob is on seal. Press the manual button or pressure cook button and adjust time to 5 minutes! Once the pot beeps and signals the cook time is done, carefully do a quick release. You can also let it naturally release for 5 minutes. I love how the broth infuses into the vegetables! Give everything a gentle stir and serve it up! Add some butter for even more flavor! Holy smokes that didn’t take long at all. 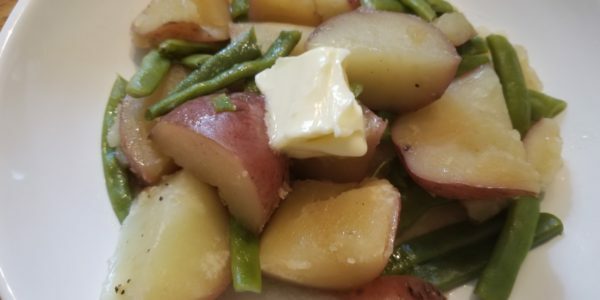 If you don’t have fresh green beans, you can use frozen. It just takes longer for the IP to come to pressure. Use the same amount of cook time.